Singer Associates supported the campaign to revitalize Vallco Shopping Mall from a largely vacant retail-only structure into a vibrant, mixed-use town center with the world’s largest green roof and over half a billion dollars in community benefits. 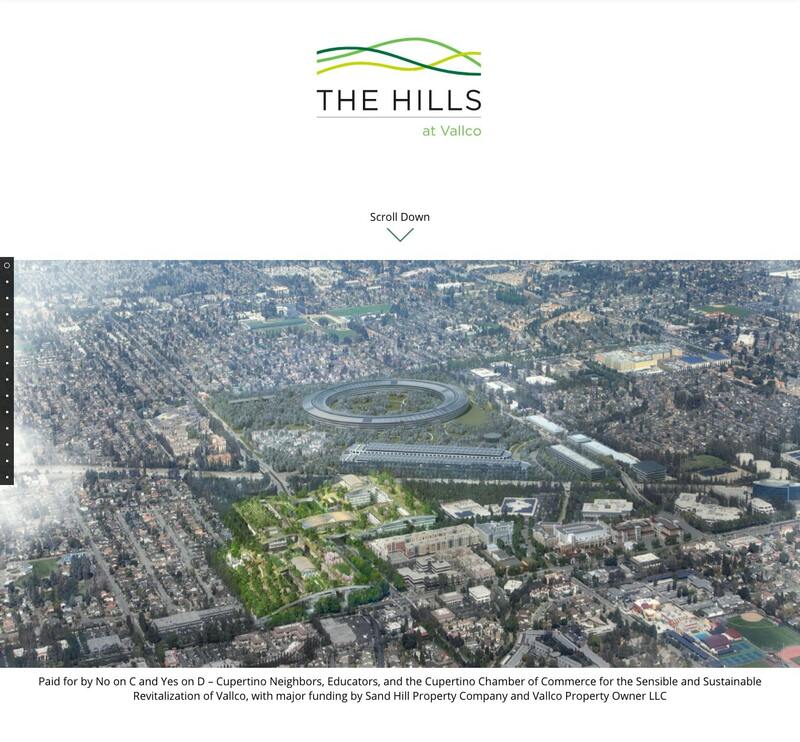 The project called The Hills at Vallco, sparked wide-spread, vocal debate throughout Cupertino. In particular, an anti-development group in Cupertino became avidly opposed to the project and introduced a ballot initiative, which would kill the development and make sweeping changes to the City’s general plan. Singer Associates developed a campaign website and parallax experience for online consumers (see below). In addition, we managed the campaign’s social media channels, online advertising, and led several informational community events leading up to the election. Singer Associates assisted in building a large-scale, informational “living” showroom with a wine bar, rows of vineyards and grassy amphitheater.